Unfortunately, my friend Sascha is moving away. So we all decided to send him off proper by burning down a monastery of his beloved Swords of Dorn Space Marines! 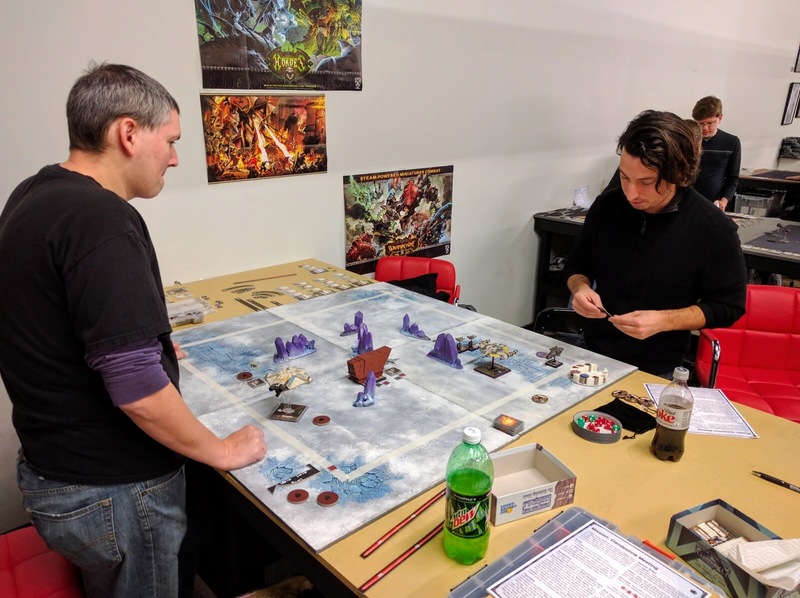 Fourteen players came together Saturday for our Sword Sworn one-shot narrative campaign. 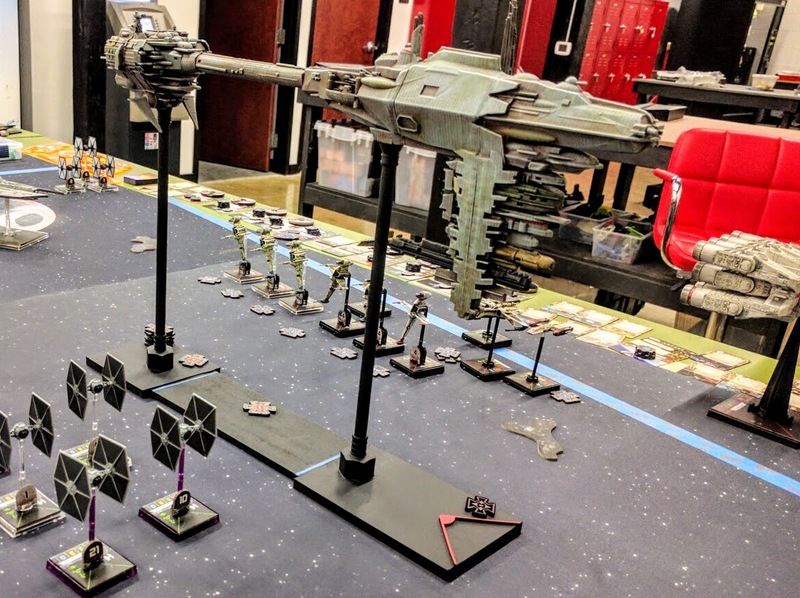 Many heroes were made, villains created, and a ton of great games fought, with literally not a single unpainted model in play. This is a quick recap of the action. Many more photos are available via Flickr or Facebook. In the grimdark of the far future, a new hero is born every minute… and eaten the next. Brother Mynaugh’s eyes swept the grounds from his perch in the east tower. Even with his superhuman vision he couldn’t see the group of his fellow initiates he knew would be assembling outside the chapel for night training beyond the walls. So soon now they would all deploy to the 10th company, full and true battle brothers of the Swords of Dorn. 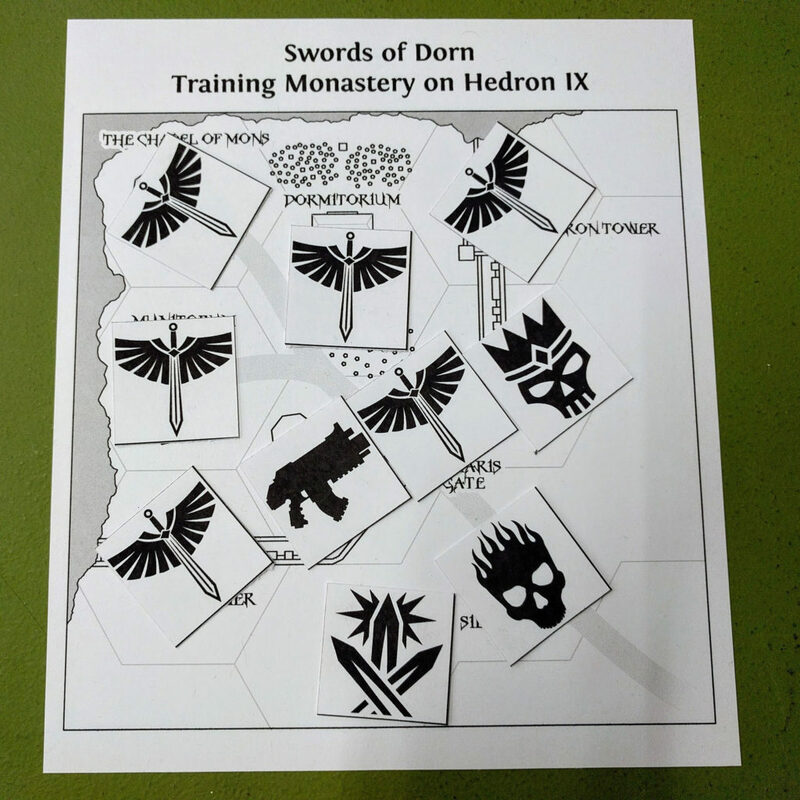 On the quiet planet of Hedron IX, the Swords of Dorn maintain one of their chapter’s training monasteries. 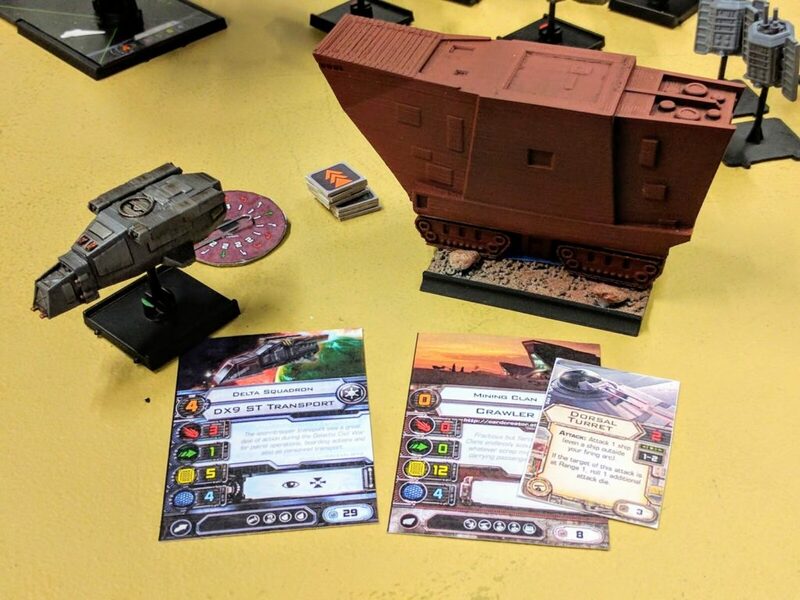 This one specifically focuses on training Scouts in the art of piloting Landspeeder Storms to swoop onto objectives in turn five. 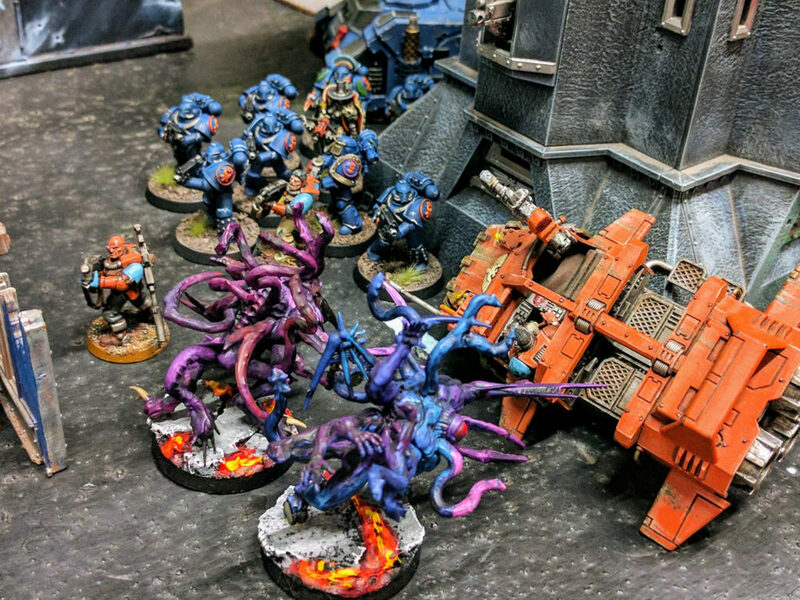 The monastery has unexpectedly come under attack by the Blood Fed, a wretched mob of traitors, xenos, and galactic refuse come treacherously from their hiding holes to avenge imagined slights and punish the ostensibly vainglorious Swords of Dorn. Opposing them, in their moment of need the Swords of Dorn have called the many valiant allies with which they have shared mutual oaths over the decades to defend both honor and body to join them under the banner of the Sword Sworn alliance. Icons for the Sword Sworn and Blood Fed alliances. The Chapel of Mons where initiates pray and train in the combat arenas. The Blood Fed start in control of the Siege Front and are working toward the chapel: Even if the Sword Sworn successfully rebuff them in the larger battle for the monastery, the Blood Fed’s leader and his personal army advances forward each turn. Campaign: Looting/preserving the chapel relics (controlling the chapel). 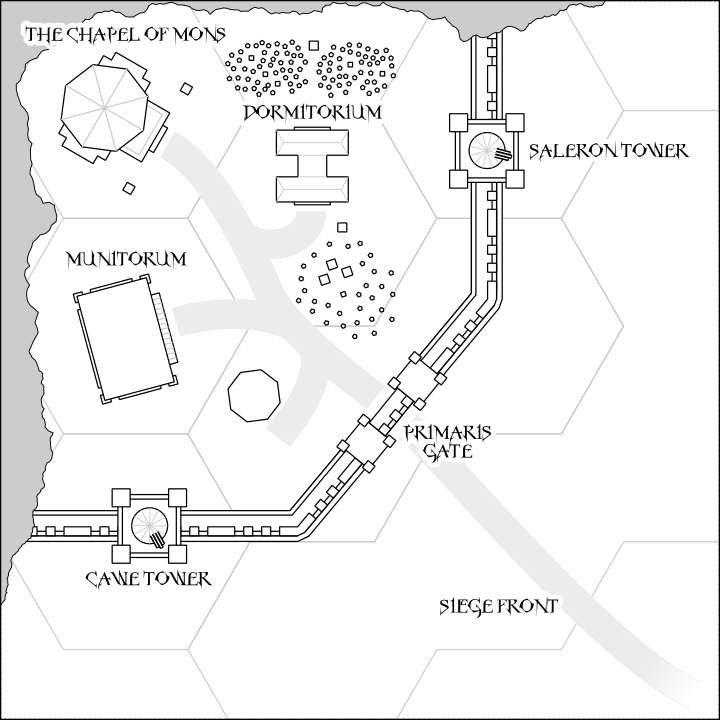 Training monastery of the Swords of Dorn on Hedron IX. 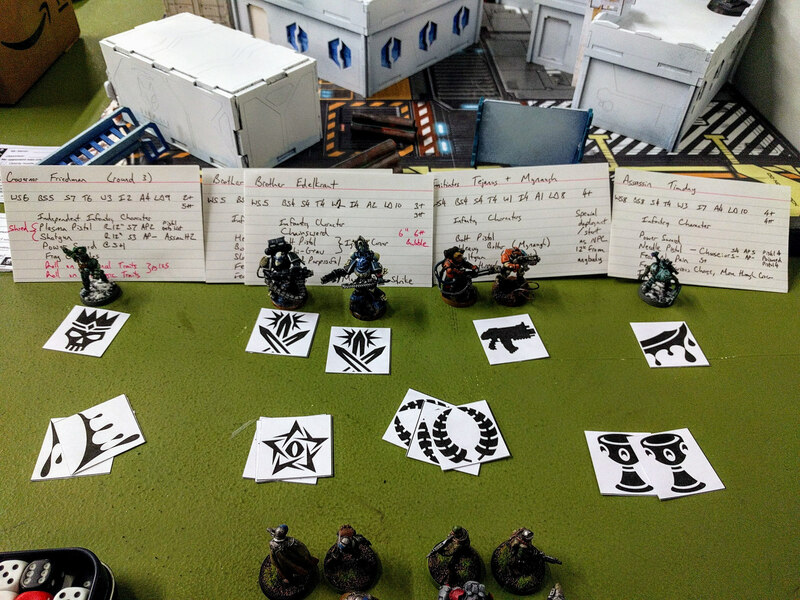 Dormitorium: Both sides work to capture or rescue the many non-combatants enabling a Space Marine chapter’s operations, represented by Civilian NPCs. 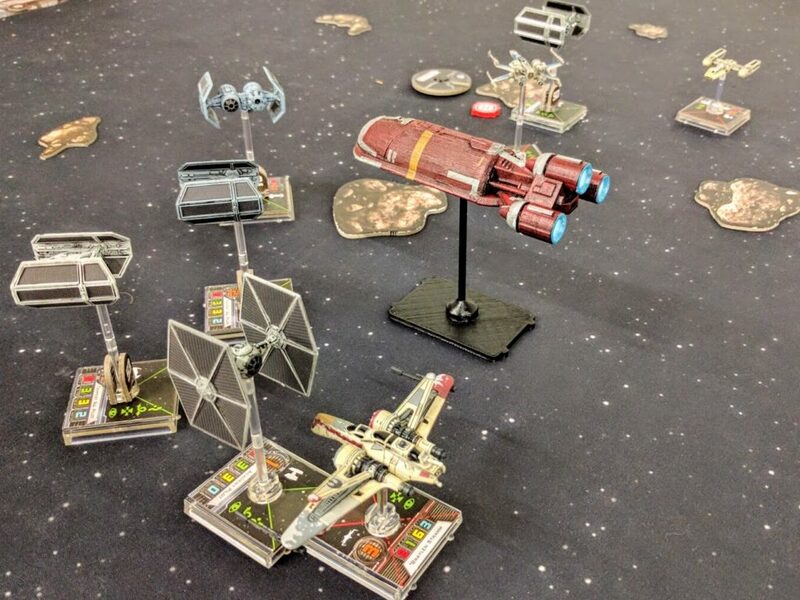 Chapel: An open battle with players vying for their choice of a combination of specific objective markers or kill points. 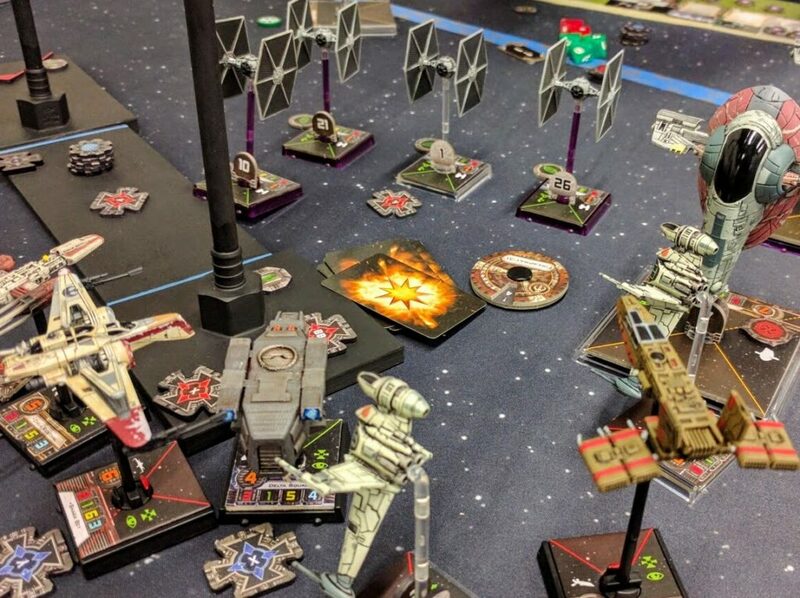 All of these are well tested and tournament-ready, based on our standard scheme of 20 victory points: 9 for primary objectives, 6 for secondaries, 5 for tertiaries. Each mission has a short list of secondary objectives from which players choose individually. 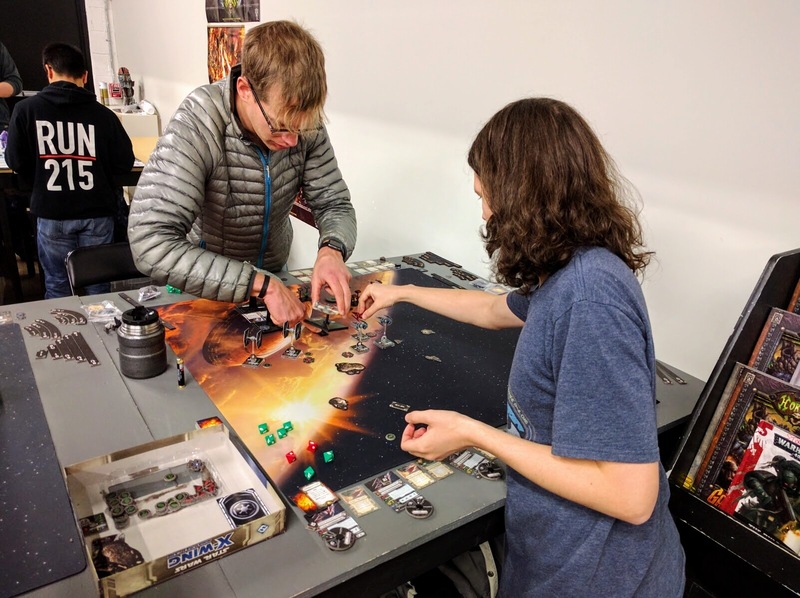 This enables players to make strategic choices and play to their strengths, e.g., doubling down on killing versus objective grabbing or vice versa. 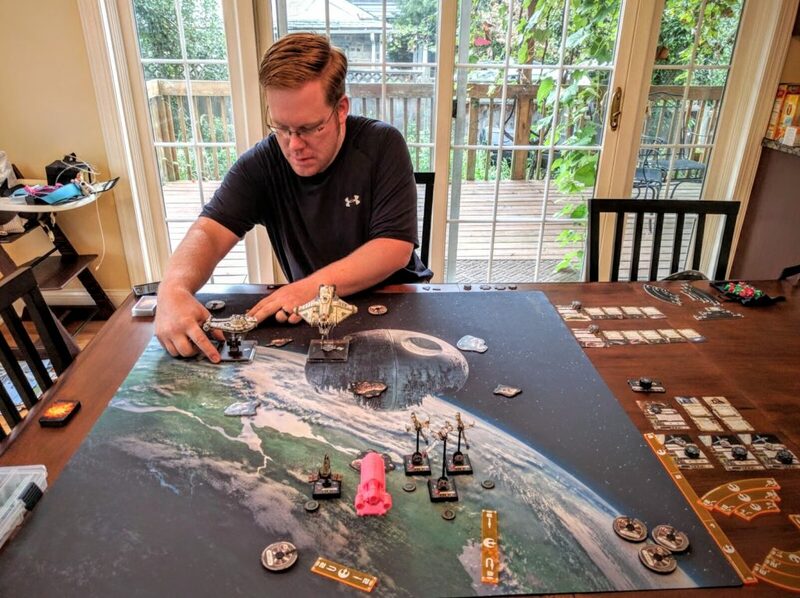 Mission writeup for the Munitorum. There are multiple special characters at large in the campaign, including the aforementioned leader of the Blood Fed. 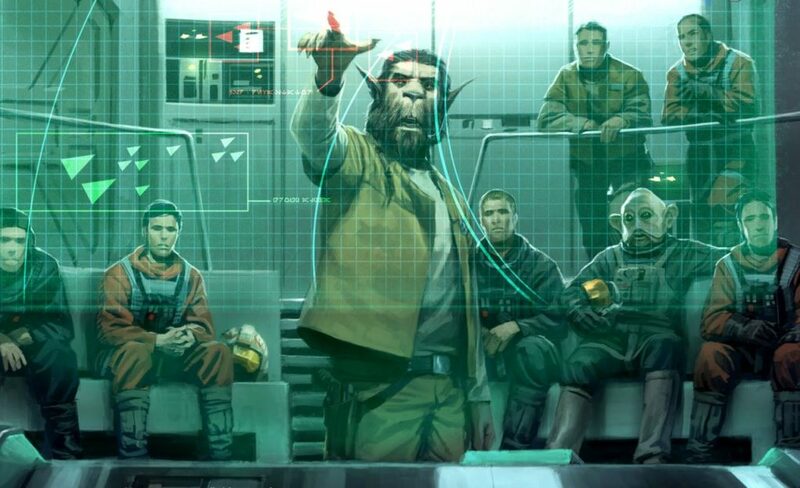 In addition to their in-game presence, each special character awards 10 campaign points each round to the alliances for either their survival or death (interpreted as being forced to retreat) as appropriate. The only characters known to both teams initially are the Scout Initiates Mynaugh and Te’Janus. Having been caught in the initial fighting, they are now swept away in the battle. Completely overwhelmed and seriously questioning signing up to be Space Marines, sheer luck just barely lets them survive, carried from one awful circumstance to another. This is represented by the Initiates being randomly assigned to a match each round, in which they are placed somewhat randomly between the two forces and huddle down until saved by the Sword Sworn or overrun by the terrifying invaders. All of the special characters and tokens. Blood Favor: The very first unit across the event to claim First Blood each round gets a Blood Favor which it may discard to ignore D3 wounds/damage. 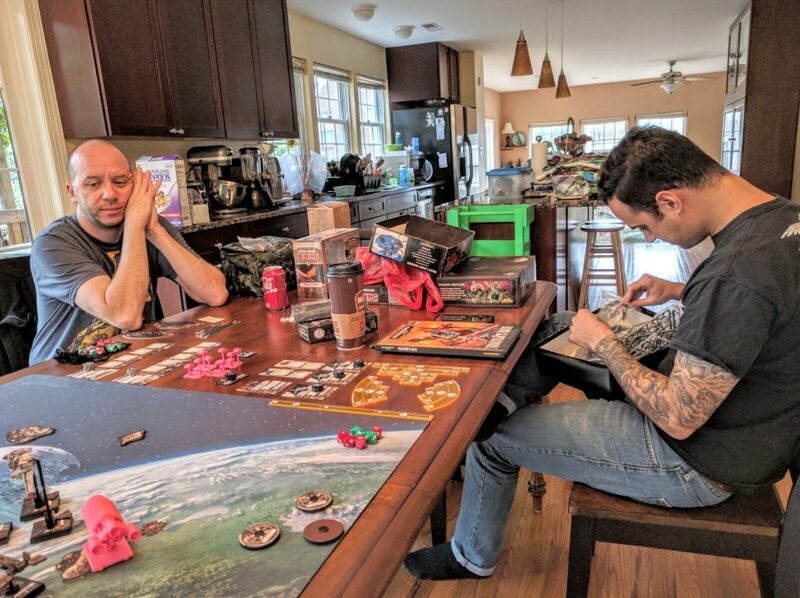 Blessing: The lowest scoring players on each side each round get a Blessing from their gods or the Emperor, which they may discard to reroll any single die. 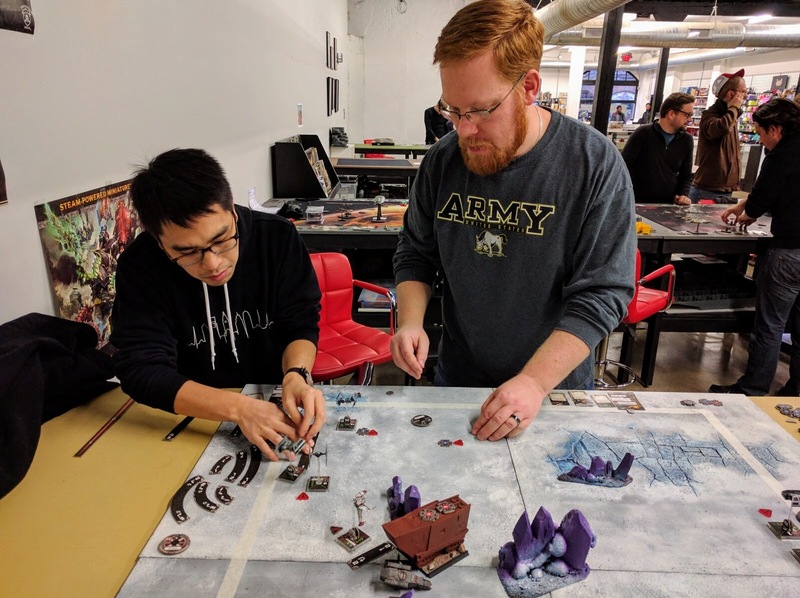 Relic: Each alliance choose one final round match in the chapel to be for the relic they consider most important, earning or losing an extra 10 campaign points by holding the central objective or not. 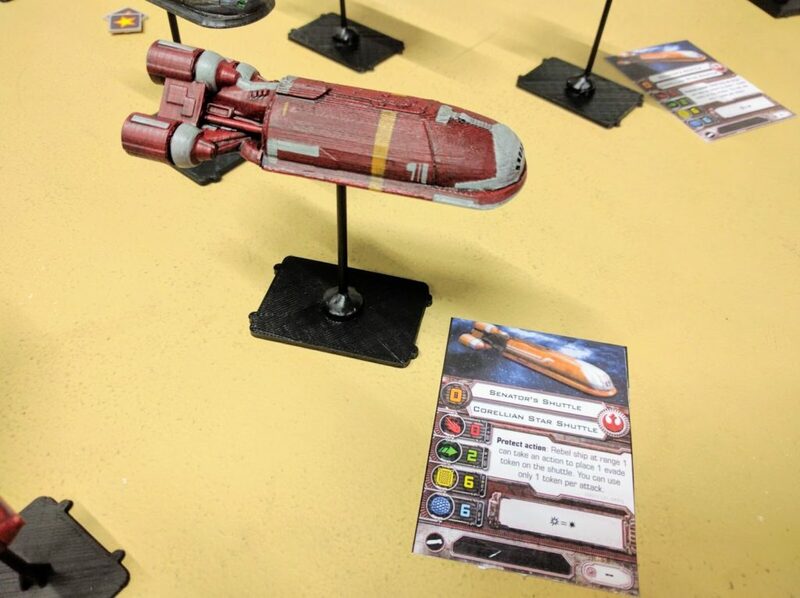 The token may be revealed to make all runs, flat outs, and charges +D3 inches that player turn. 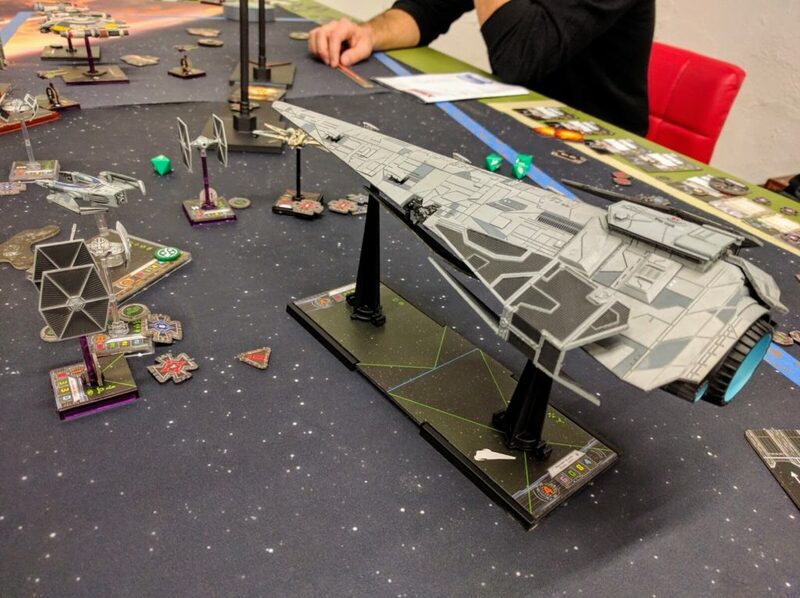 Players may choose objectives in this mission, so the opponent may not necessarily care about the central objective unless this revelation is made. 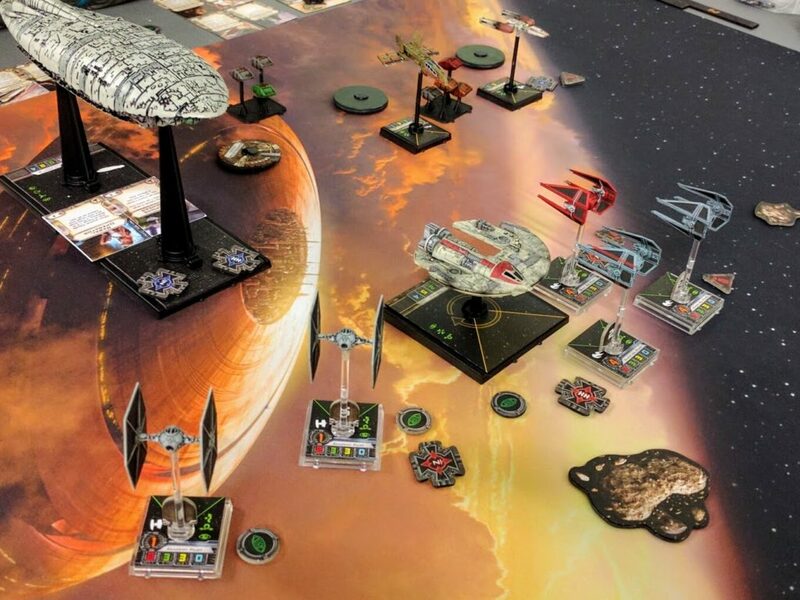 All of the tokens may be used at any point, and carry into the next game if not used. Appropriately enough, the Blood Fed wound up comprised of primarily Chaos Marines, a few Space Marine contingents apparently having just thrown in their lot against the Emperor, and a band of Tyranids come for the feast. 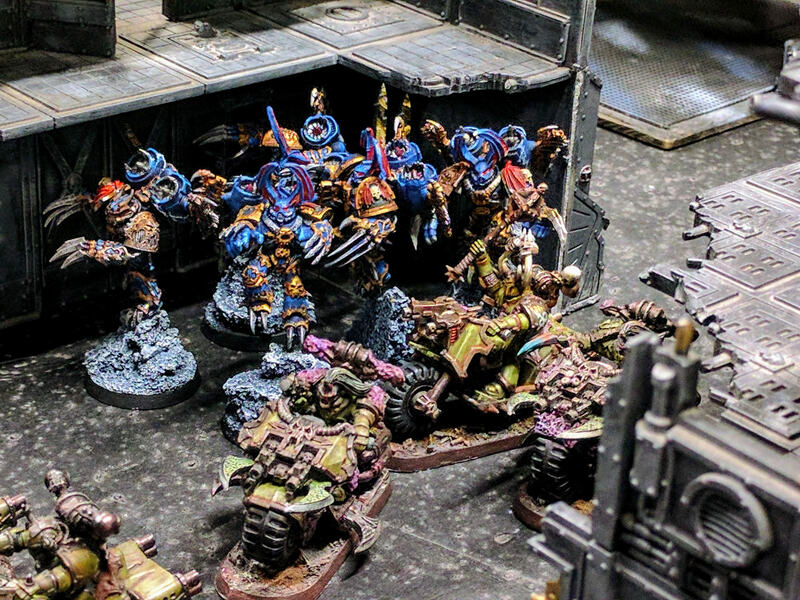 Facing off against them, the Swords of Dorn were backed by a full host of Space Marine loyalists, Tempestus Scions, and an Emperor’s Fist Armoured Company. As kind of a going-away party we wanted everybody to get a chance to play with multiple people. 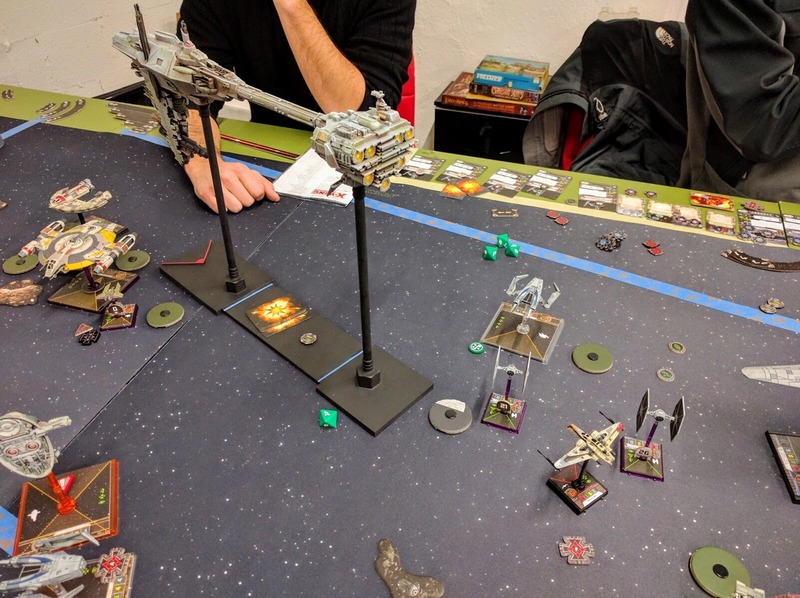 So we played rotating doubles, with the alliances choosing which of their players to team up each round. After some quick strategy discussion about first round teams and missions, the campaign was on! Traitor Governor Friedman launches the surprise night attack. Scout Initiates Mynaugh and Te’Janus find themselves amid the heaviest fighting, defending the Primaris Gate. 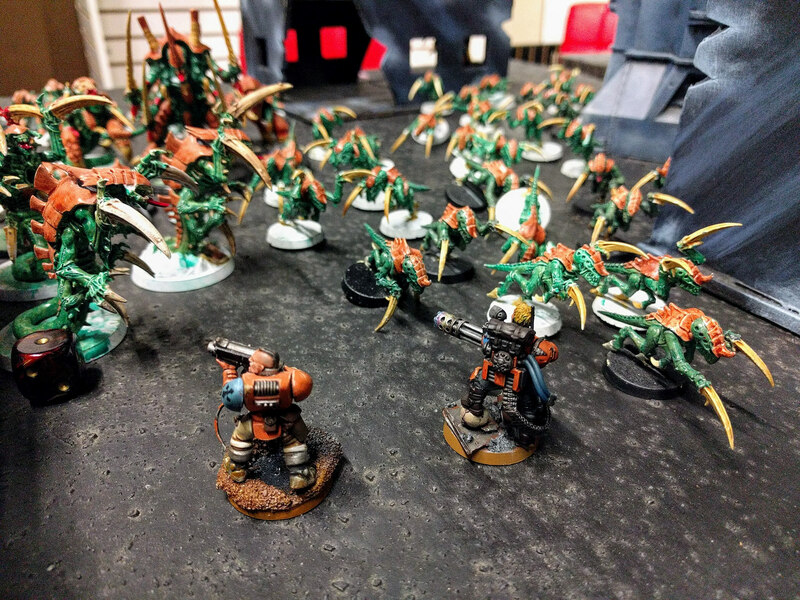 Caught without any support, they’re exposed to a massive charge by a ravening horde of Tyranid monsters. Mynaugh lays into the horde with his minigun, but both barely escape the Red Terror. The Blood Fed’s leader is revealed by his thrust against the Primaris Gate as the Planetary Governor Friedman, unsurprisingly turned traitor. More is at hand though then just a minor rebellion as Governor Friedman is clearly being rewarded for his actions, growing in power and size as the blood flows. Outside the gates, the Sword Sworn gamble on a counter-offensive, attacking into the Siege Front. 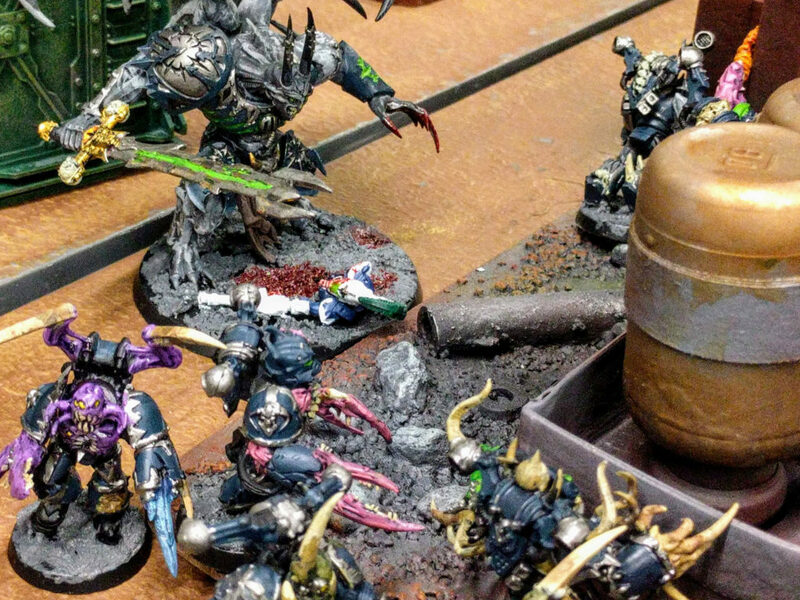 They are eventually rebuffed, but at the worst moment the Warp-fired visage of Brother Edelkraut, a storied hero of the Swords of Dorn presumed long dead, appears and empties his wrath into the invaders. 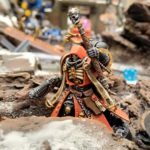 Outcome: No change in regions, but the Governor breaks through the Primaris Gate. The map after Round 1. 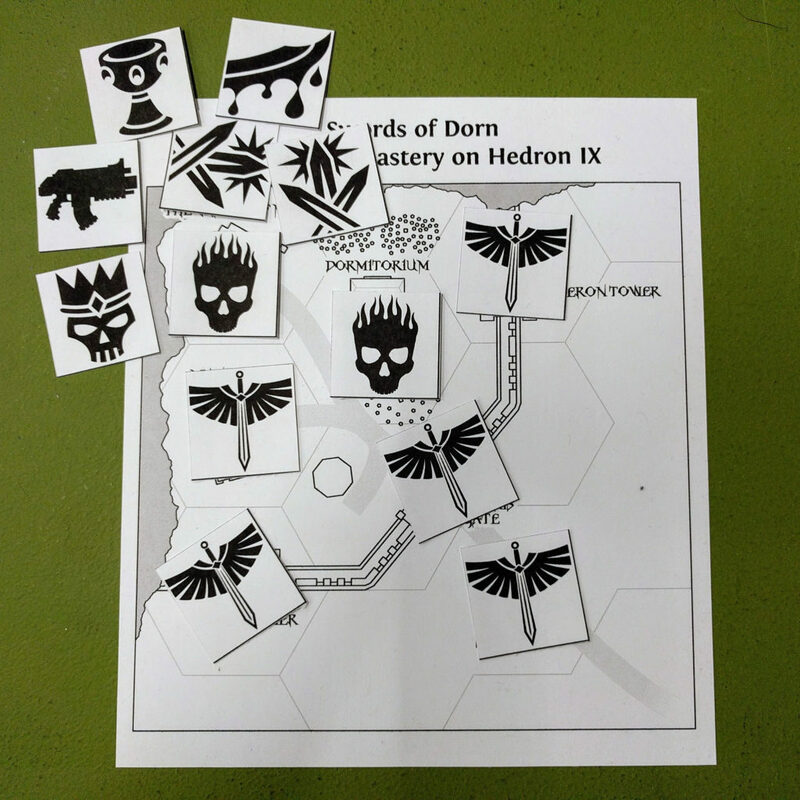 Chaos Daemons overwhelm Swords of Dorn Scouts while Crimson Fists rush to their aid. 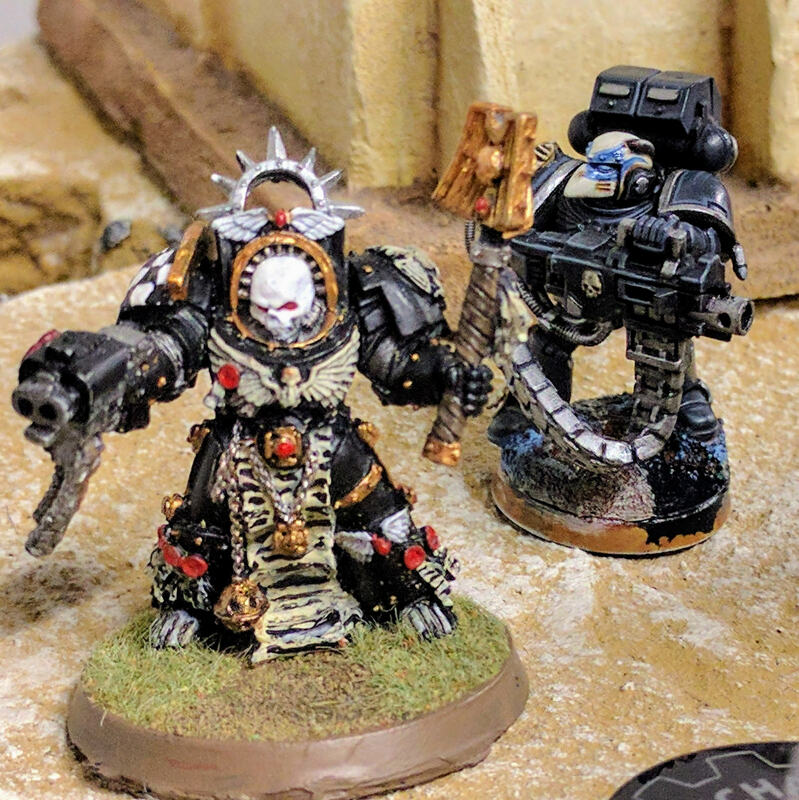 Presumed long dead Brother Edelkraut appears from the Warp to support a Lamenters Chaplain in his moment of need. Scout Initiates Te’Janus and Mynaugh stare down the oncoming horde. Having barely escaped being eaten, the Initiates Mynaugh and Te’Janus immediately stumble into an even worse horror: The soul corrupting might of Chaos! Still trying to escape the carnage around the Primaris Gate, they’re harried by Raptors and driven toward the maw of Nurgle’s mightiest minions. His rage growing ever more powerful, Governor Friedman sweeps through the Dormitorium feeding civilians to his dark gods. The Swords’ desperation growing as the heretic works ever closer to the chapel, Brother Edelkraut lives up to his legend, moving so fast from fight to fight that he often seems to be in two places at once. At the previously quiet Munitorum, the defense forces are overtaken by terror as they suddenly realize there is a silent stalker among them: The governor’s secret henchman Assassin Timday appears at the airfield and begins hunting down Tempestus Scions. Outcome: The Blood Fed cleave a clear path from the Siege Front through the Primaris Gate and the Dormitorium to the very edge of the Chapel. The map after Round 2. 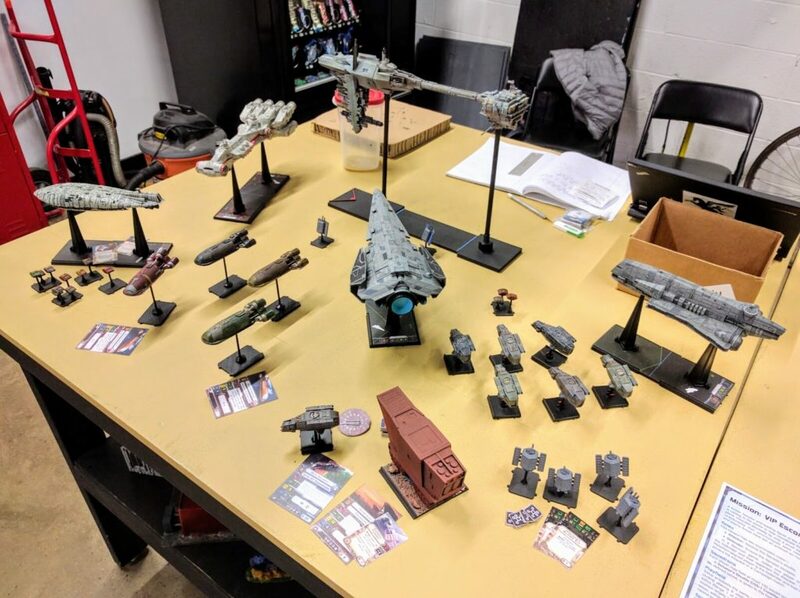 Tempestus Scions hold their ground at the Munitorum airfield. Chaos overwhelms the Munitorum’s refinery. Assassin Timday hunts among the airfield. 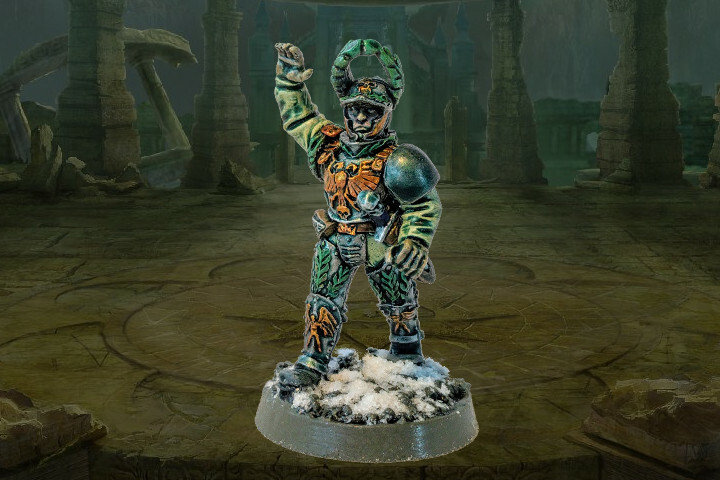 Now a lumbering hulk, Governor Friedman smashes through the chapel walls and makes his way to stake a claim on a chalice said to have been drunk from by Rogal Dorn himself. Despite dispatching ever more frenetic vengeance, Brother Edelkraut’s furious hauntings are not enough to stop this sacrilege. Meanwhile the twisted Assassin Timday lurks the outer edges of the chapel battle, continuing his persecution of the Tempestus Scions. 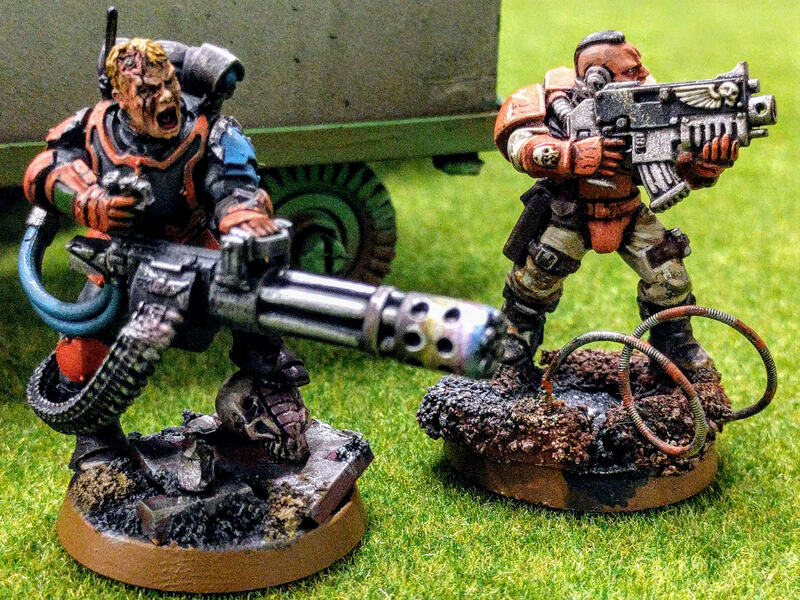 Blown by the winds of war from fight to fight, the Initiates Mynaugh and Te’Janus find themselves having gone full cycle, from the very first contact at the Primaris Gate, to the very last fighting at the Chapel of Mons. 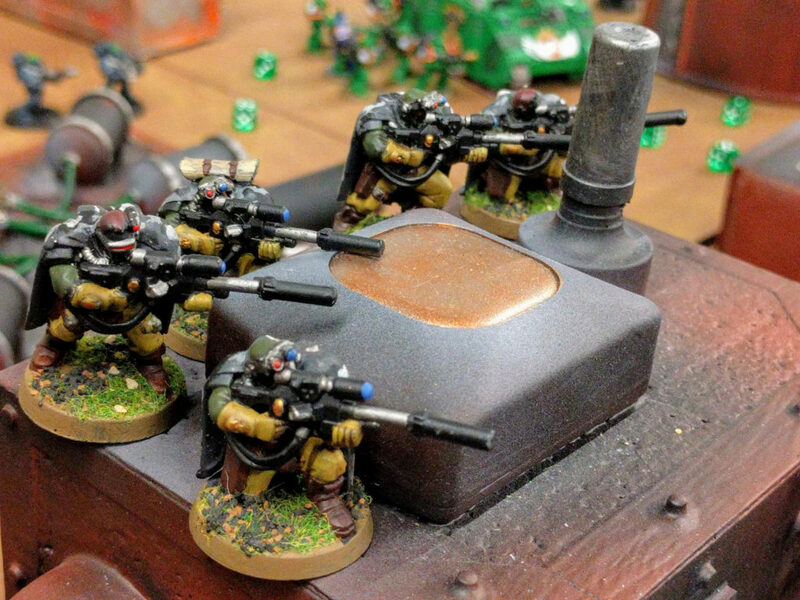 There they find themselves almost snared in the clutches of the Alpha Legion when an angry company of Lamenters Space Marines comes to their aid just in time. Rallying to their brave example, they join a squad of their brethren Scouts in a suicidal fight to hold the left flank and protect the Lamenters’ main position. At long last the Initiates Mynaugh and Te’Janus have truly learned what it means to be one of the Emperor’s finest. 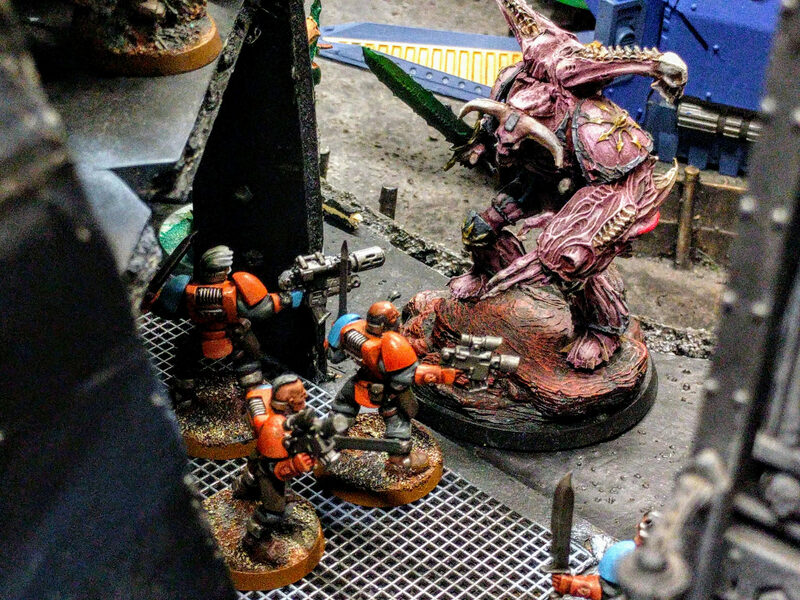 Outcome: The Sword Sworn make a successful raid into the invader’s encampment as well as retaking the Primaris Gate, but do not stop the Blood Fed’s push to the Chapel of Mons and the precious relics inside. The map after Round 3. Snipers pick off targets from the rooftops of the refinery buildings. 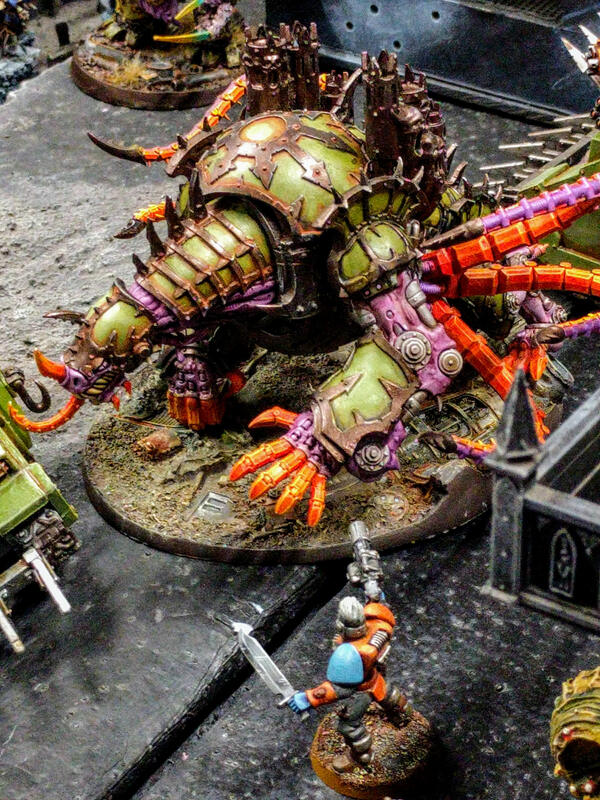 Packs of Warp Talons and Nurgle bikers roam through the Dormitorium. 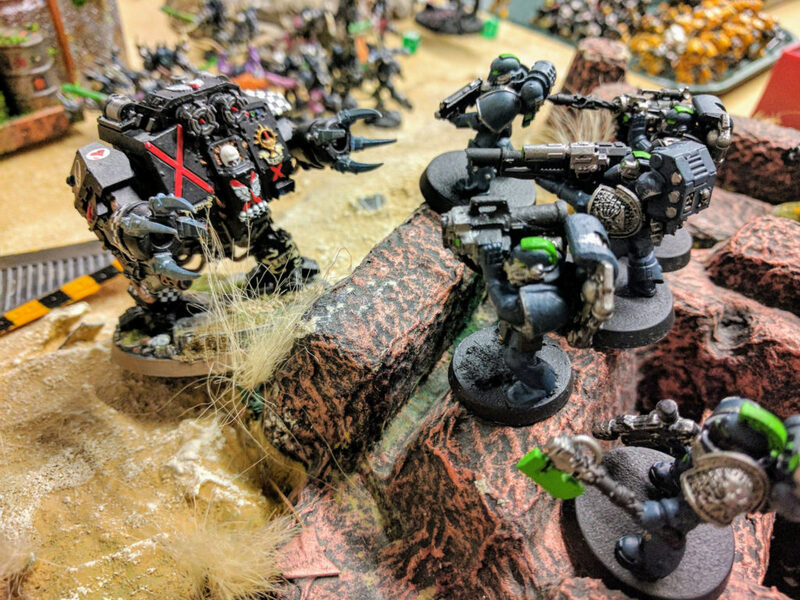 Ill-fated Brother Maximus, cursed with Black Rage in his Dreadnought armor tomb, surges forward to assault a Chaos Havoc squad. The Sword Sworn maintain marginal control of their monastery on Hedron IX (Sword Sworn tactical victory). Their recruiting pipeline however is wrecked by the Blood Fed, who have indeed feasted on many of their trainees and destroyed much equipment and supporting personnel (Blood Fed strategic victory). Worst of all, the cursed Governor Friedman manages to loot the Chapel of Mons and makes off with the relics he came to steal for his masters (Blood Fed campaign victory)! 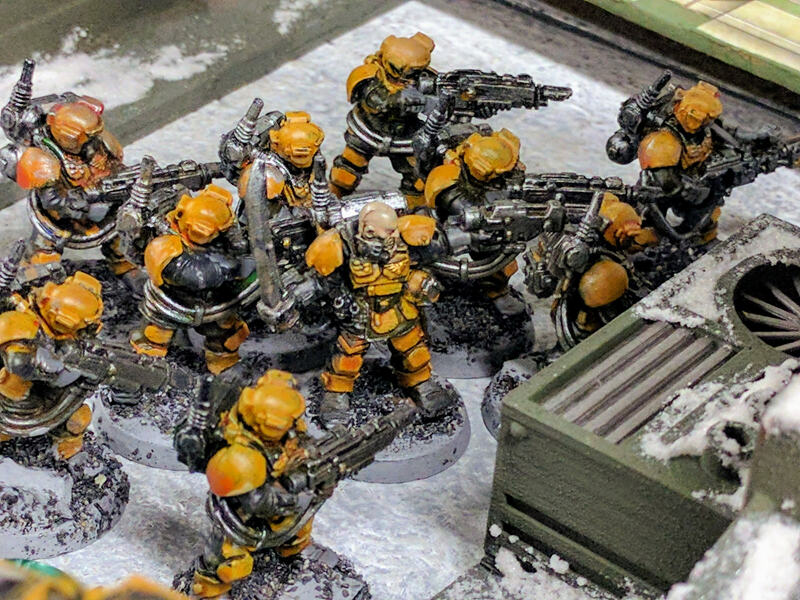 Newly trained Swords of Dorn stand their ground to the last in the chapel. Lucky Warriors: Our two primary prizes were drawn from a raffle, each player having earned 2 tickets for a loss and 1 ticket for a win. 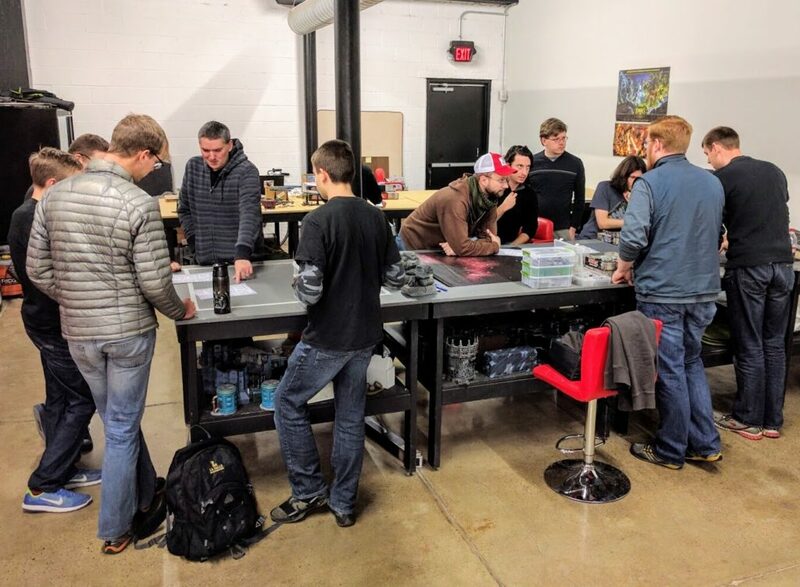 Jake C with his Tyranid and Brian M with his Ravenguard won the raffle prizes. 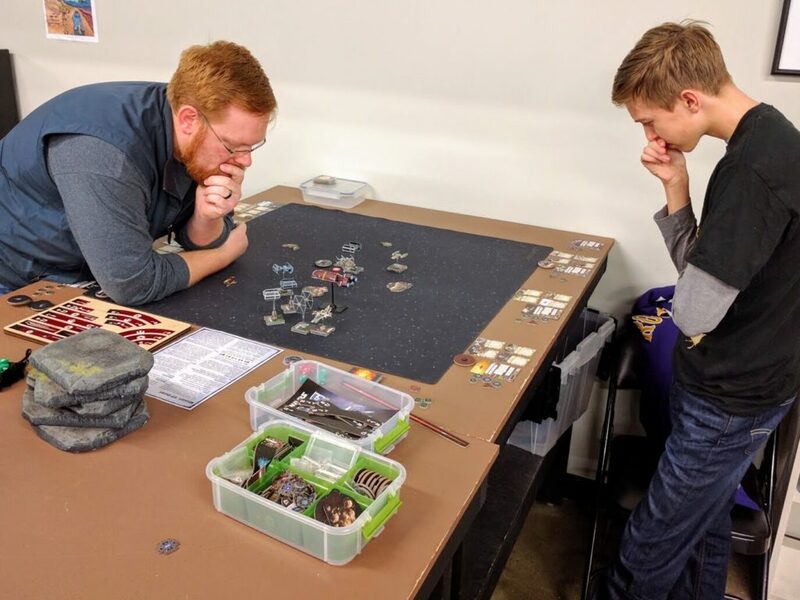 Steel Thunder Mike and Sam L from the Berks PA Gaming Club took home Best General titles for the Sword Sworn and Blood Fed respectively. 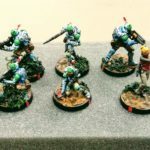 A relative newcomer to our Redcap’s community, Fernando V took second in the painting votes with his Crimson Fists while man of the hour Sascha and his Swords of Dorn once more won that ballot, donating his prize to our ongoing Shadow War campaign. Congratulations everybody! 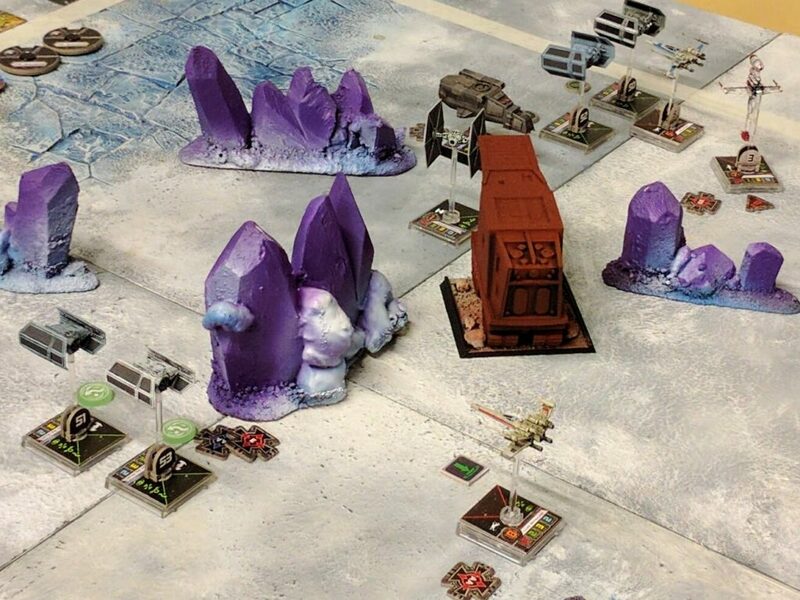 A Crimson Fists Fire Raptor makes a last ditch strafing run in a futile attempt to hold the airfield. 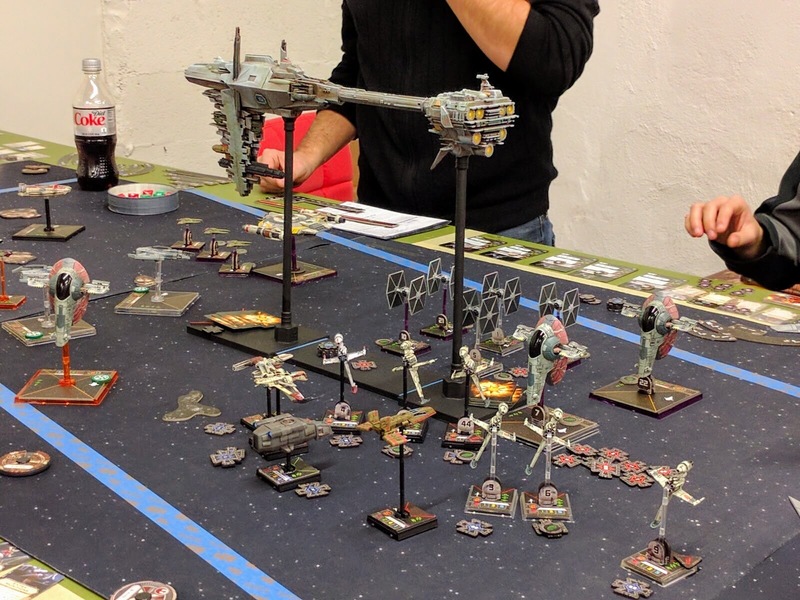 I have a bunch of thoughts on different aspects of this campaign to tweak. But it seemed very successful at creating the feel of a larger story and throwing in lots of fun little bits without being overly complex or unbalancing. 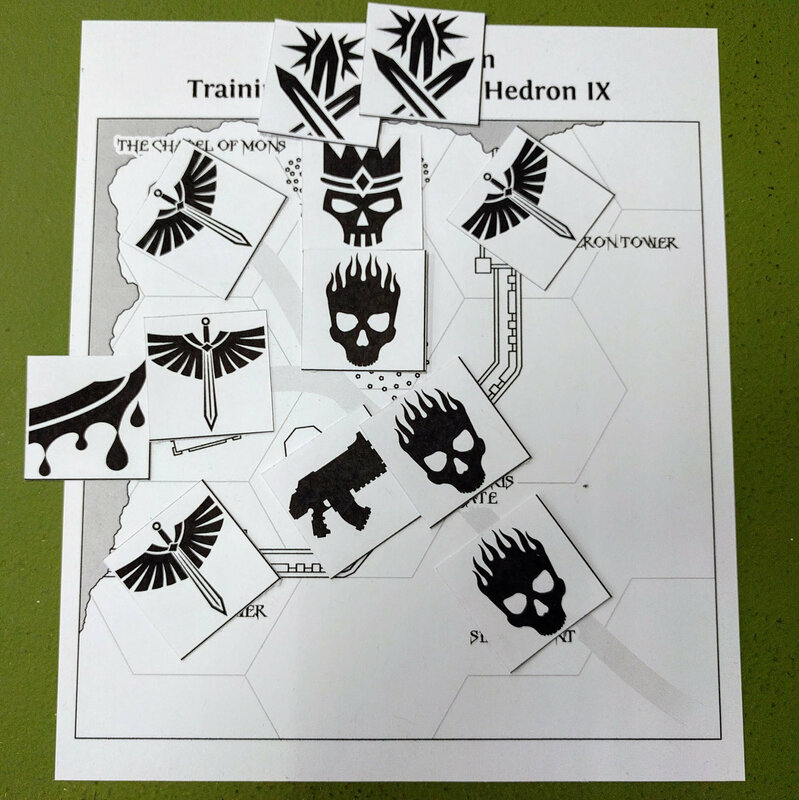 A PDF with all the missions, tokens, map, etc., is mostly prepared and will be posted once 8th edition is released and the necessary changes made. 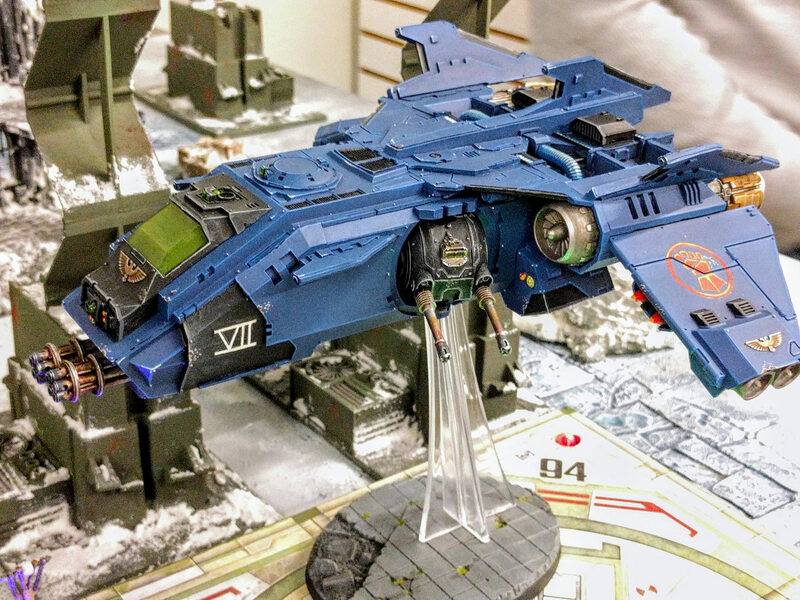 As a bonus, I was blown away by all the amazing armies and models that came out to play. 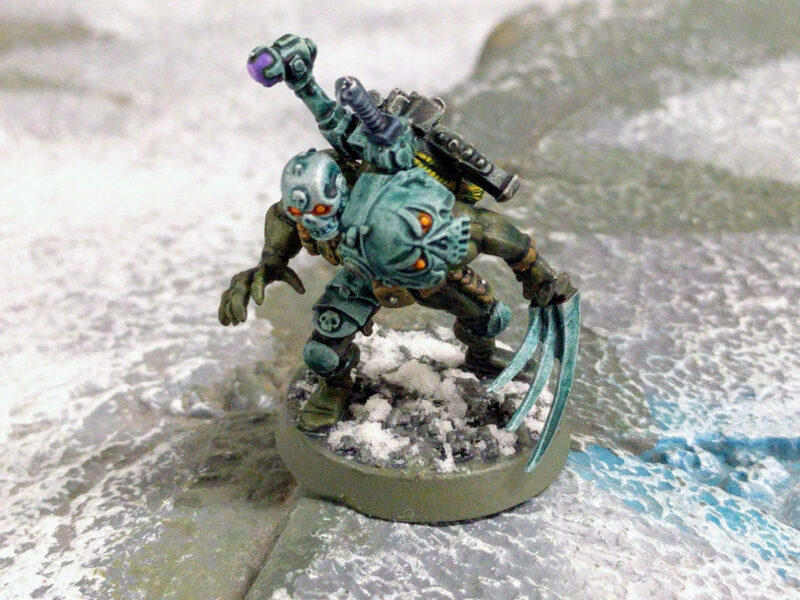 Many under-utilized models made an appearance, particularly among the Chaos Marines. Many more photos are available via Flickr or Facebook. 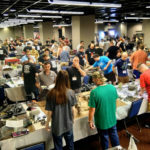 All in all, I had a great time, everybody else seemed to have a great time, and I hope it was a fitting community tribute to Sascha, who has been the heart of our 40k group the past few years. We’ll miss you, and we’re sorry we burned down your monastery! 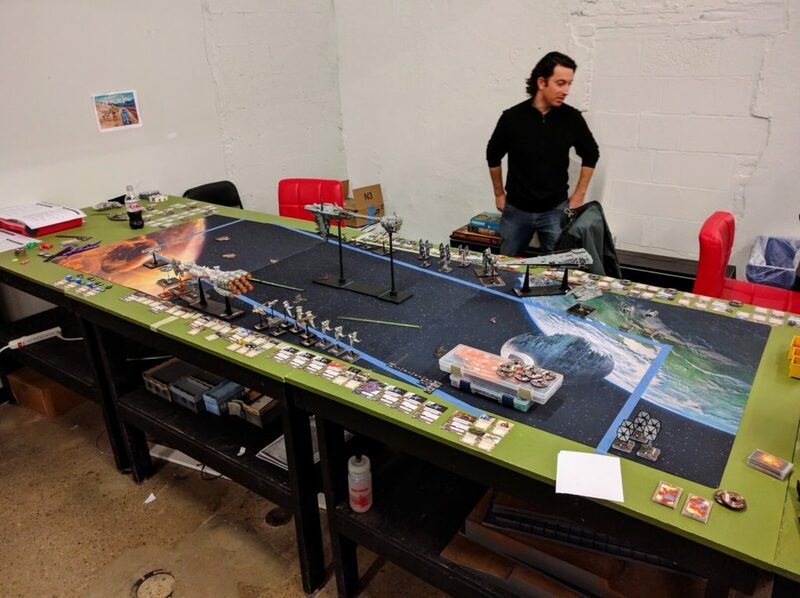 For everybody else, if this is the kind of Warhammer 40,000 gaming you crave and you can get to Philadelphia or Washington DC, you should join us for our upcoming LibertyHammer weekend in June and the NOVA 40k Narrative over Labor Day! Scout Initiates Mynaugh and Te’Janus fight on, having become true warriors of the Swords of Dorn. 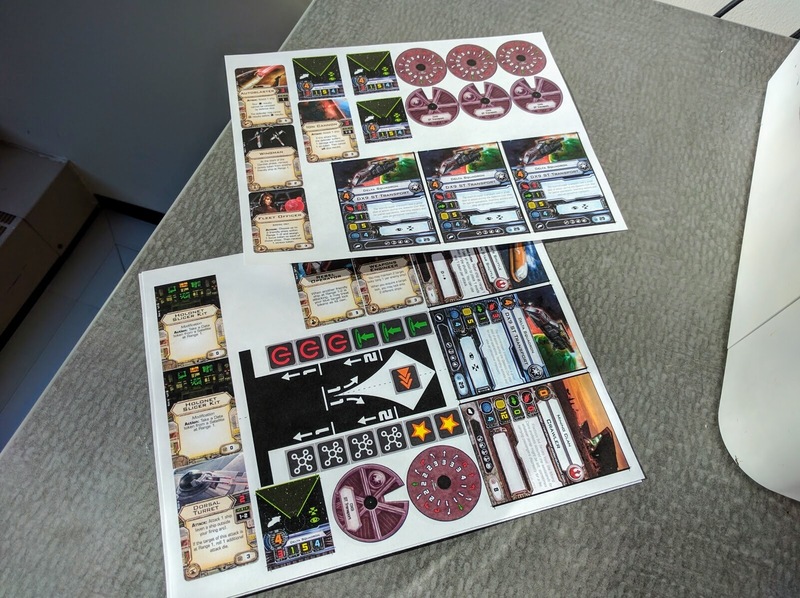 Very very late last night I started physical production for our Molokh Gambit 1-day X-Wing narrative campaign. 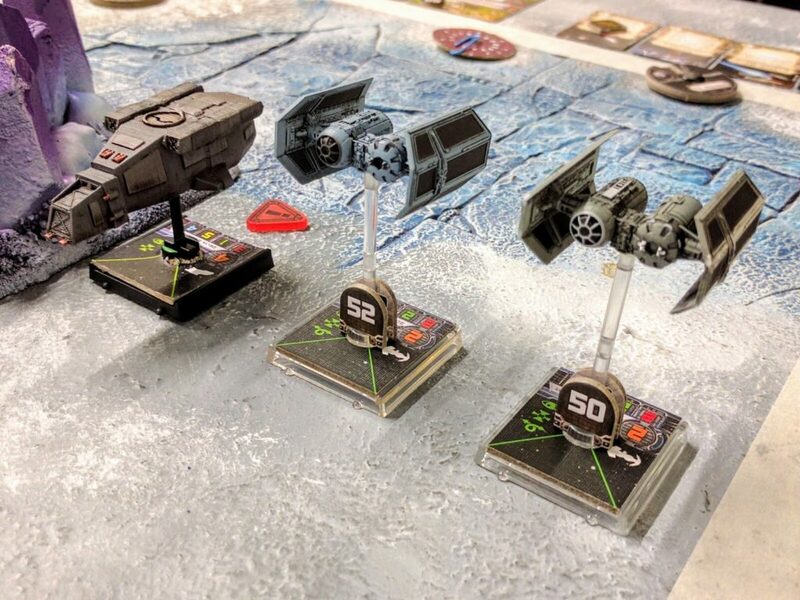 Behold, a fleet of CSS-1 Corellian Star Shuttles appears! By this evening I’ll have four of these sweet babies to hand over to Matt for painting. 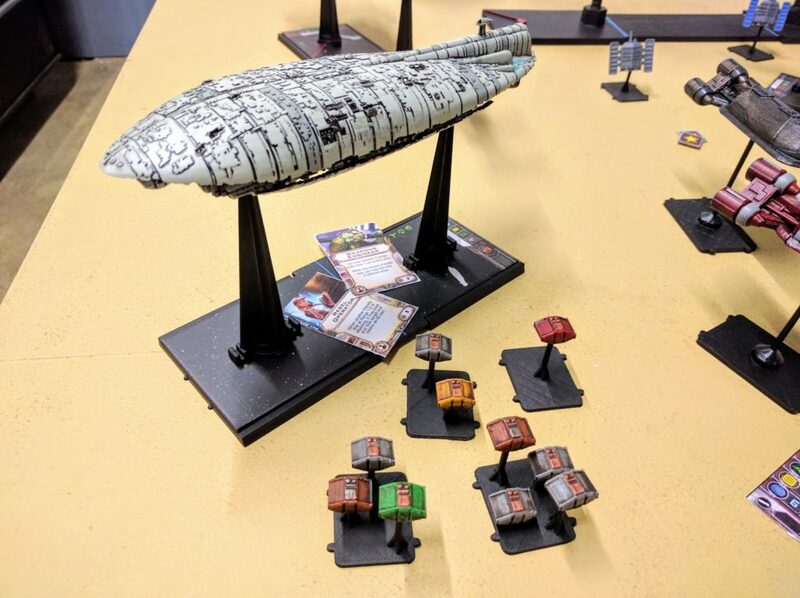 In the process I learned that the Senator’s Shuttle token from the X-Wing Miniatures core set is probably the most out-of-scale “model” in the game. I barely remember it from the prequels at all, but Wookieepedia tells me that the CSS-1 Corellian Star Shuttle is actually 80 meters long and can carry 200 passengers. So more of a cruiser than a shuttle. To be in scale with the other 1/270 standard ship models, the shuttle would have to be almost three times the size seen above. 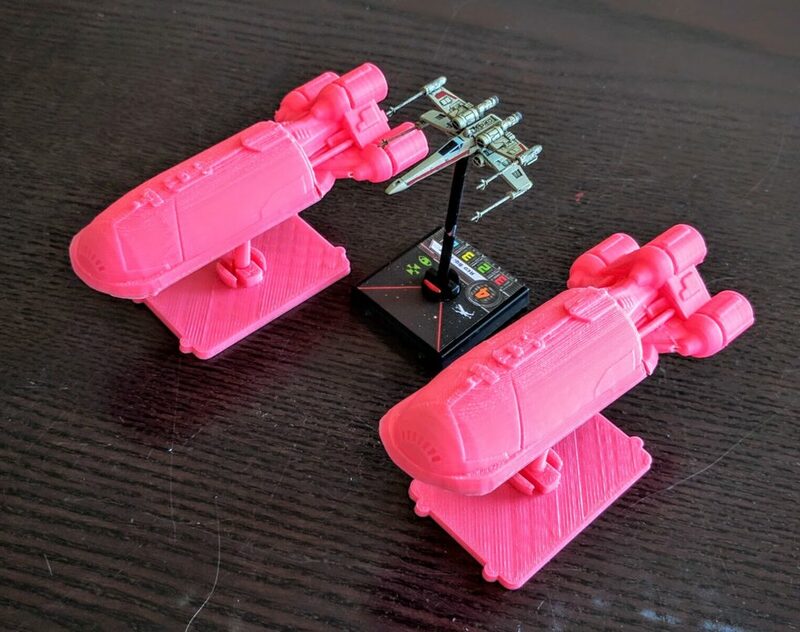 Even against the 1/400 Epic ships it’d have to be double this size. 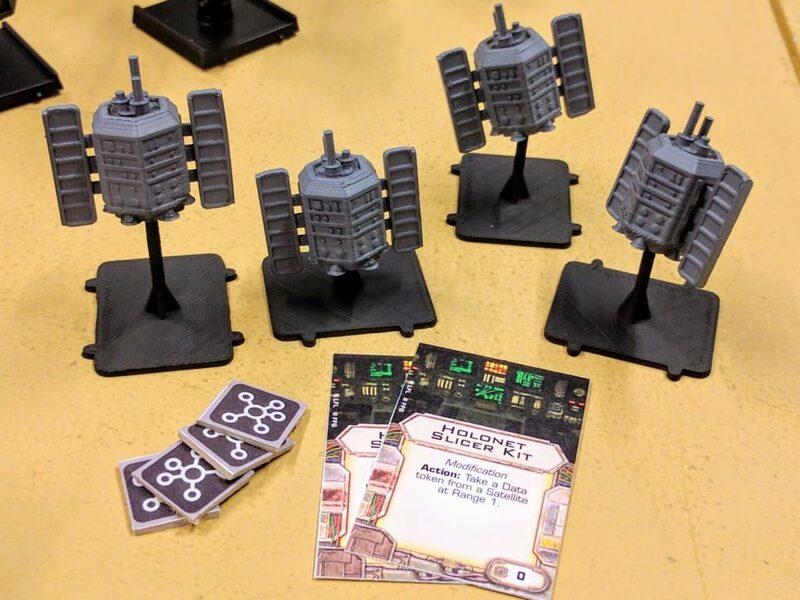 However, I think this version looks great and the size gives it better and simpler playability for 100pt missions as we’ll be using it. 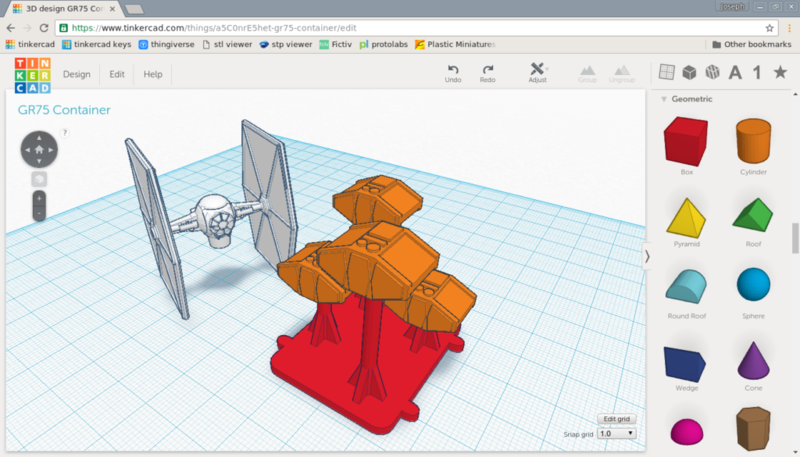 I did not create this model, I found a design Losik published on Thingiverse. Err404 also has a great version that embeds the model directly into the shuttle token. 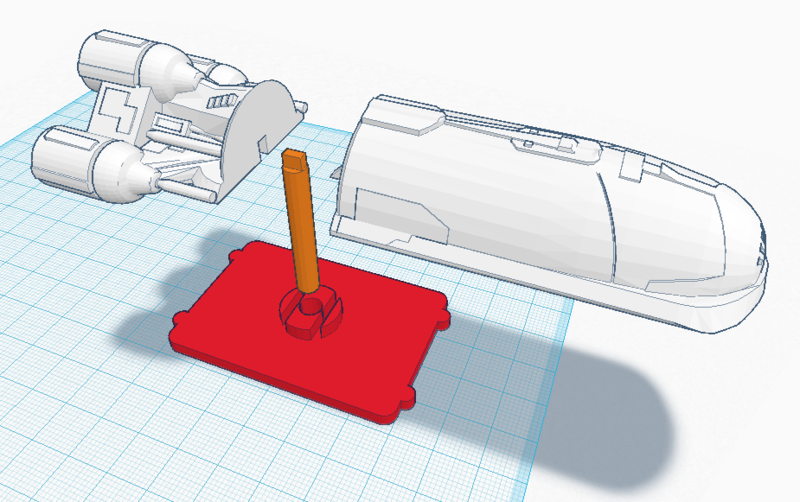 I thought hard about using that, but we’re planning to build a bunch of models for the campaign so I went with the flying version so it would fit in better. 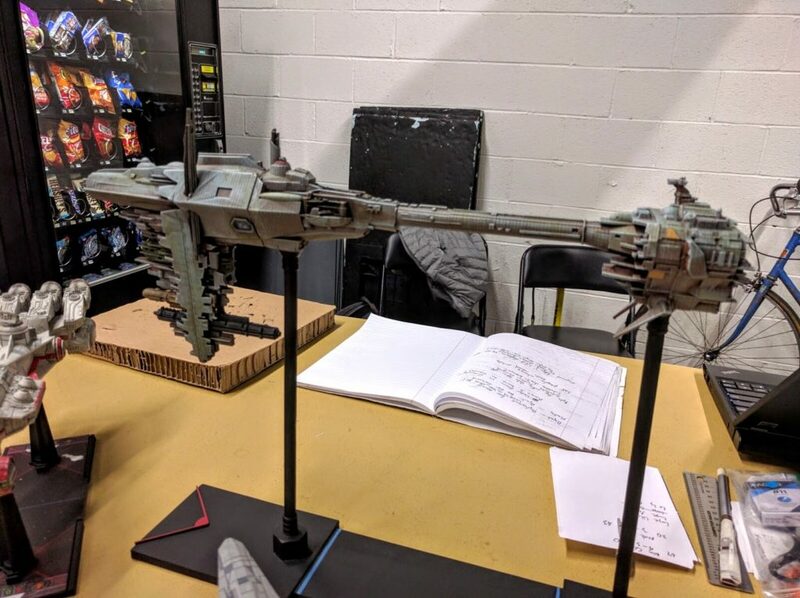 In the end all I did to the model was recut the base to have a blank top, created a thicker flight pole with matching slots on base and ship, and added a tab & slot to the two ship halves to guide better gluing. 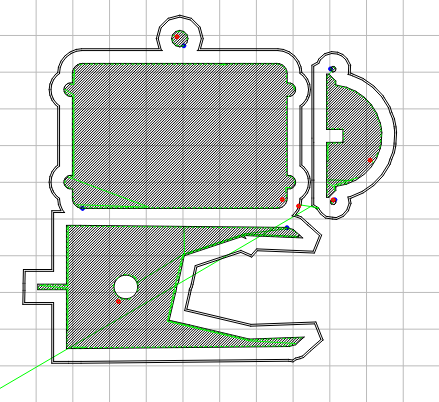 I also realized that despite instructions, the front half could be printed laying down rather than on its end. 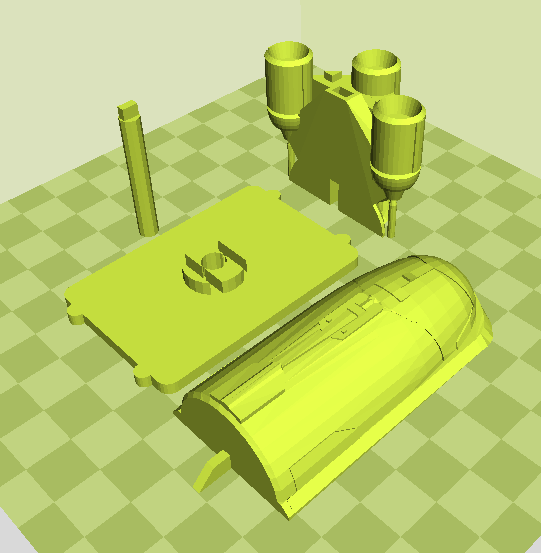 Although this model is thick enough it would almost certainly print fine, and you can put more on the build plate by going vertical, I try to avoid tall structures. Laying it down also let me easily add the gluing tab. 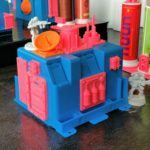 I’ve posted these re-cut models to Thingiverse for free download. A somewhat interesting realization was that the front half isn’t actually perfectly flat though. I could see this looking at the shading on the model in various viewers as it moved around, but you can see it very clearly by examining the somewhat degenerate first layer toolpath. The nose of the shuttle lifts up a bit, creating a weird shape for the initial layer. However, it’s literally just the first layer. Given that, I’d assume this is unintentional. If I had to guess I’d say it’s possible (I have no idea) that the model was originally ripped from a game and this is some artifact from the video-oriented modeling and mesh construction. The print is unaffected though and it would have been an effort for me to correct using my software at hand, so I did not bother to fix it. Somewhat degenerate first layer; the bottom shape should be the hull front half. A more interesting general note about printing is that originally I had a taller flight pole. Most of it printed fine. 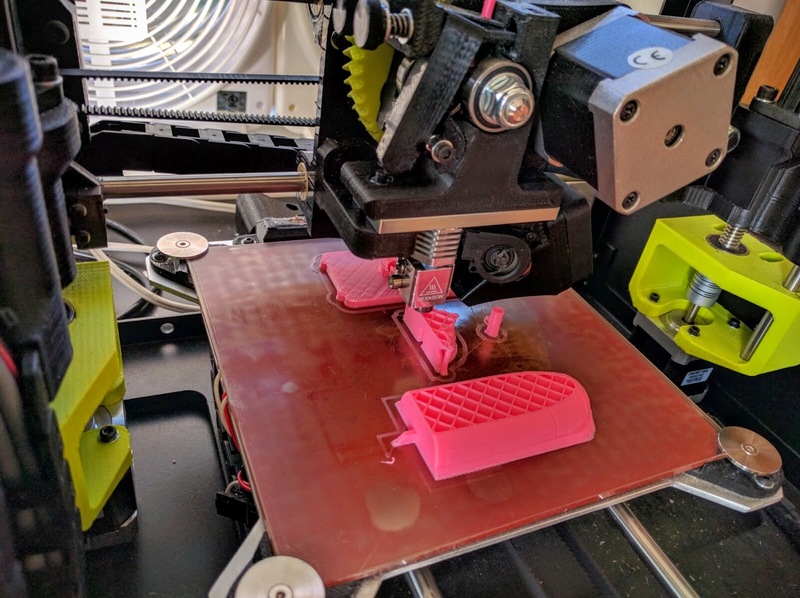 However, toward the end when it was the last component being printed on the layer, the printer hot end cycling around continuously made the top of the piece too hot, keeping the deposited plastic melted a bit and letting the motion swirl and gnarl it. You could fix this with a sacrificial tower pulling the hot end away long enough for the piece to cool. I did the same thing here though by just cutting the flight pole down to the same height as the engine stack. 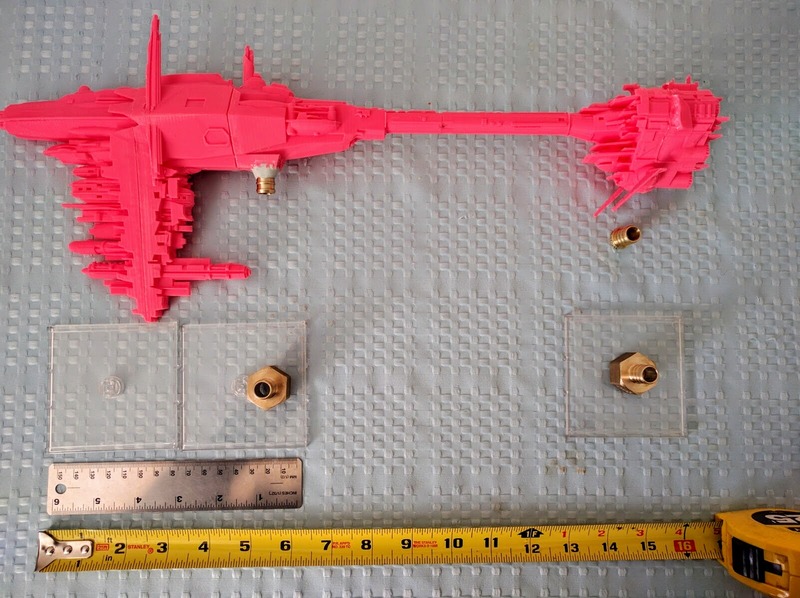 As long as you print them together, the printer will be pulled away from the flight pole long enough, as it goes to print the engines, that the pole will cool and retain its shape. 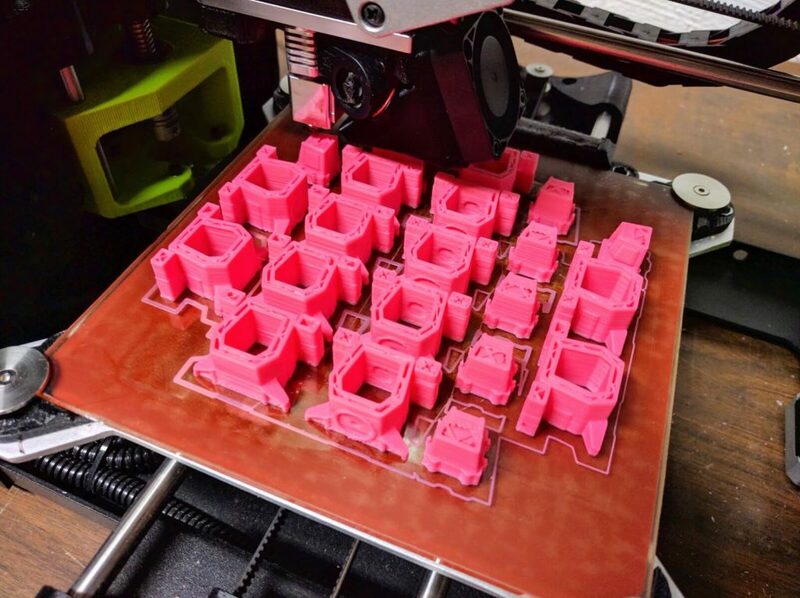 That’s a good start to physical production for the event, with three months still to go. 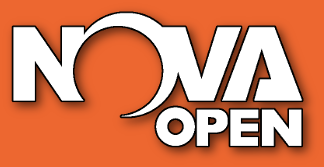 Colin and I had a long discussion on our way to and from NOVA earlier this month about basic squad construction rules and logistics, the outcomes of which are on the event webpage. 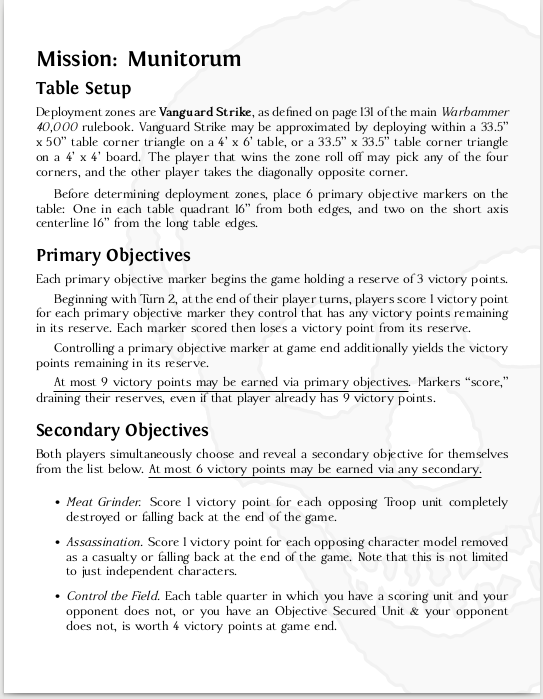 Matt, Colin, and I have also started passing around a draft dungeon master’s guidebook with detailed proposals for the campaign mechanics that I’m excited about. More to come; hope you can join us!